Bosco Coppell likes to think that he was conceived just before a David Bowie show in Los Angeles in the mid ’70s and born during the second encore, midway through a track from ‘Scary Monsters (And Super Creeps’). Naturally, he wasn’t, as that’d have been impossible. Bowie didn’t even release ‘Scary Monsters (And Super Creeps) until 1980. Little is known about his early life, nor indeed his middle ages, and now, as most of his former colleagues, lovers, cellmates and siblings have either passed on or moved to Sligo, there’s a chance it’ll stay that way. With a fondness for words and a severe loathing of numbers, Bosco, who models himself on the likes of Hunter S. Thompson, Flann O’Brien, Spike Milligan and Philomena Begley, seems to have settled into life at The Heraldy Press, no matter how often we ask him to leave. Moving to New York City from Dublin, Ireland in 1997, Michael Fitzpatrick achieved the unholy trinity of jobs for Irishmen; construction, moving and bartending, before clinching his first journalism gig, as a sportswriter with the Irish Echo. He then went on to help establish Irish weekly ‘Home&Away’, with a number of other Irish media-types in New York City, where he worked for several years as a writer and editor, before moving once more, to The Irish Examiner, where he was employed primarily as an entertainments correspondent. Among his career highlights, were interviewing Noel Gallagher, Maeve Binchy, The Corrs, The Script, Ed Burns, Bell X1, The Cranberries, Brian Dennehy, Paul Brady, James Galway, Phil Coulter, John Duddy, Laoisa Sexton, Colin Broderick, Ardal O’Hanlon, Shane MacGowan, Tommy Tiernan, Colm Meaney and Brendan Gleeson. Throughout his time in New York he’s had pieces published in other publications, some still going strong, others not so, before establishing The Heraldy Press with his friend and colleague, protege and mentor, Bosco Coppell in 2014. Married with two young boys and another child on the way, he lives in New York City, but visits Ireland as often as possible. 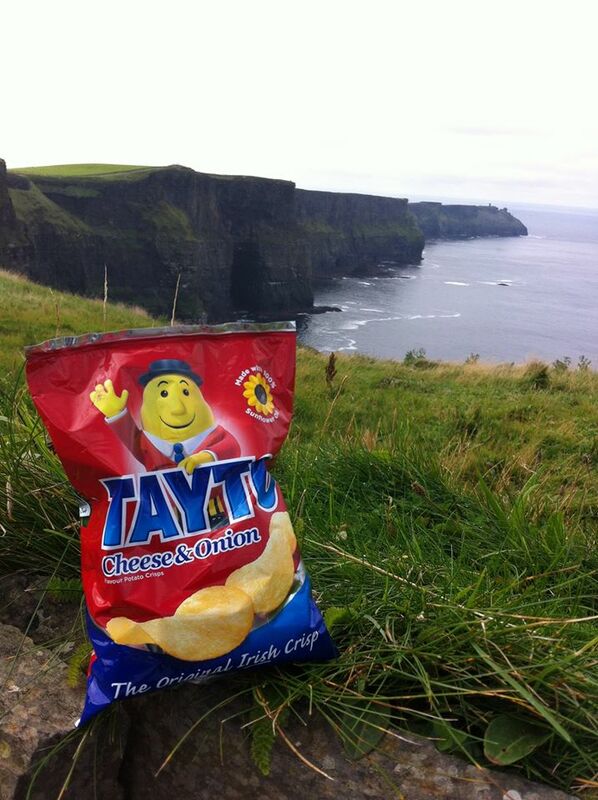 Not Bosco Coppell, but some crisps, and the Cliffs of Moher, the Crisps of Moher, if you will. Heraldy Press Articles: Bosco Coppell’s (mostly) satirical news stories. Interviews: Old and new interviews by Michael Fitzpatrick, including his ‘At The Mike Stand’ series, from his time working with the Irish newspapers in New York. Miscellaneous: A new category, which will include mostly human interest pieces written by both Michael and Bosco, as well as some special guests. Copyright © 2019 Michael Fitzpatrick. All Rights Reserved. Magazine Basic created by c.bavota.